A few years back my mom gave me this roll of gauze like material. It is about 12 inches in width and I am not sure how much is on the roll. This stuff is amazing!! I have used it to make mummies and ghosts. 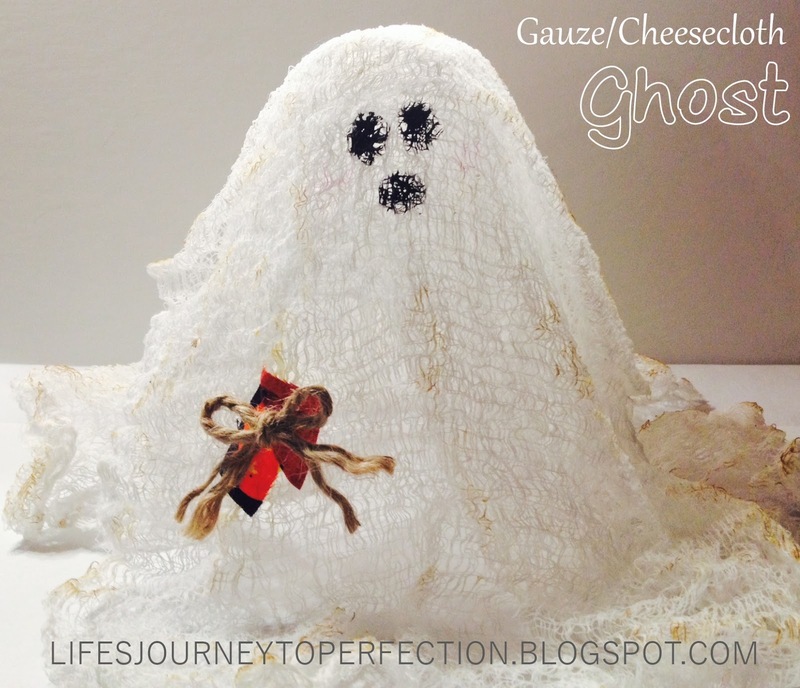 If you can't find a large roll of gauze, then I am sure some cheesecloth would work. For a tutorial on how to make these fun ghosts CLICK HERE!